Yikes it is cold again. Sigh. Highs in only the teens and 20s F after a 70 degree day. I am so looking forward to spring! Anyway, my image today is from the Great Bend Kansas Air Show from last September. 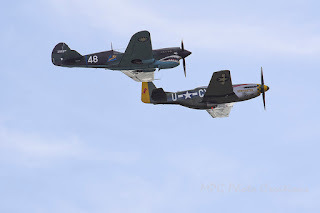 I captured 2 of my favorite WWII fighter planes flying past the field. 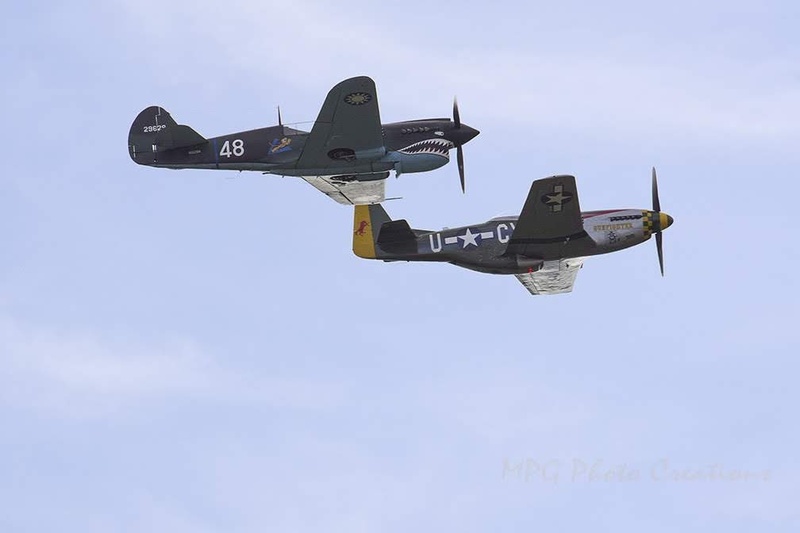 These are a P-40 Warhawk and a P-51 Mustang. LOL Thanks very much Tom!